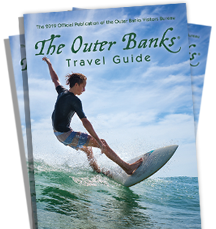 When you say “Outer Banks,” you’ve said water. Such is life on a chain of barrier islands. The water supports many life forms in our sounds, estuaries, creeks, inlets and ocean, and Outer Banks water tours are a great way to get to the middle of the action. You’ll come away with a deeper appreciation for life both above and beneath the surface of the water. Check out a dolphin watching tour or try your hand at a sailing excursion. Hundreds of migratory bird paths also take place over the OBX, so be prepared for your “water tour” to have you looking in more directions than just one. Being on the water is relaxing, but it’s also totally invigorating. Try it, you’ll like it!